Developer Stephen Downward is an evil genius: he’s figured out a way to prank friends and enemies alike with a sneaky little Chrome extension that will drive victims up the wall. 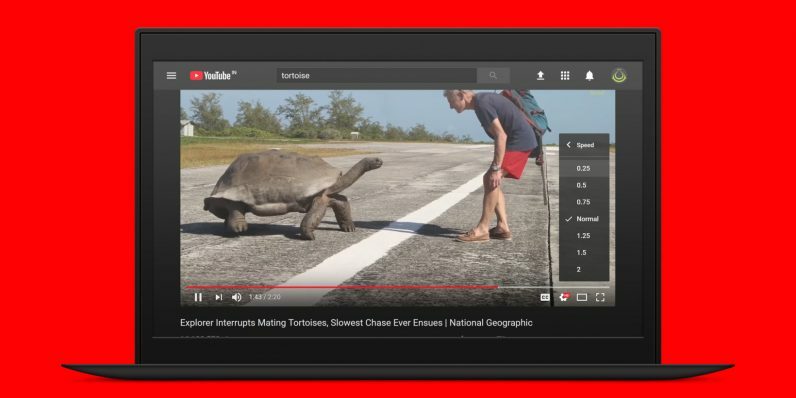 The innocuously named ‘Chrome Engine’ extension slows down YouTube video playback by 1 percent each day until it reaches 70 percent of the original speed. Install it on a friend or co-worker’s computer and watch them rip their hair out as they struggle to figure out what’s wrong with their goddamn videos. It’ll even work on multiple computers if your mate has Chrome synced across devices with the same account; even tweaking the playback speed using YouTube’s controls won’t help, because the extension will compensate for whatever option the user selects. If you’re cruel enough to give this a go, visit this GitHub repository from the target computer, click the “chrome-engine-packed.crx” link, and then download the extension by clicking the ‘Raw’ link. Next, launch a new tab and enter “chrome://extensions” to open the browser’s Extensions management page. Then, drag the CRX file you downloaded onto this page and click ‘Install’. When it’s done, a Chrome logo will appear alongside the other extension buttons next to the address bar – you’ll want to hide it by selecting the option in its right-click context menu. Now, wait for the fun to start – and prepare for an afterlife in the deepest, darkest recesses of hell. Got a cool tech prank up your sleeve? Share it with us in the comments!